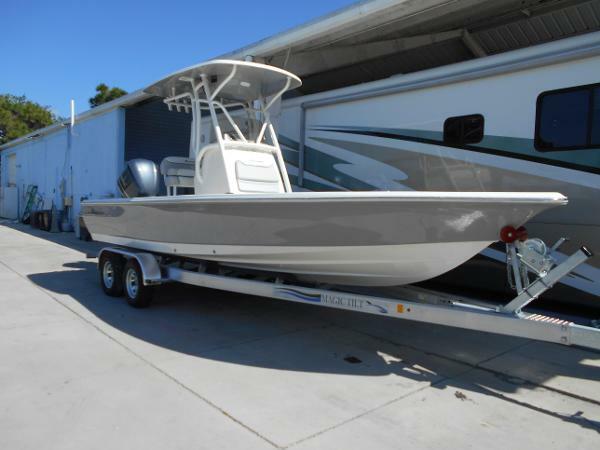 This vessel is in very nice condition and is used on a regular basis for half day, and full day fishing trips. Everything is in very good working order, and the motor runs great per the owner. This is a boat that will get you where you want to go, fast. And you'll have all the conveniences for fishing when you get there. This vessel has always had the vinyl advertising on it per the seller, so there is beautiful, light green paint underneath that has never seen the sun! Stock #167662 Excellent! Many Custom Additions: Rub Rail, Under Gunwale Rod Holders, Electronics, 3/4 Tower! 300HP Yamaha- Aluminum Tandem Trailer! If you are in the market for a center console, look no further than this 2011 Avenger AV24 Custom, priced right at $98,900 (offers encouraged). 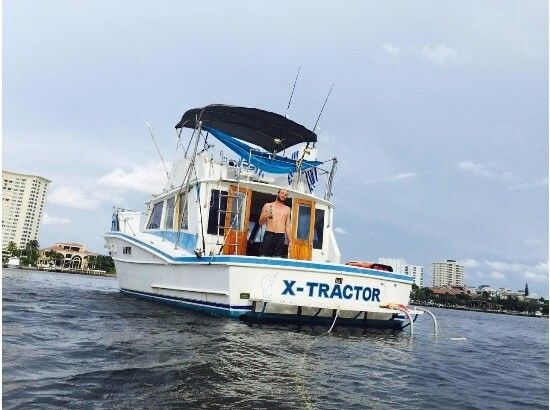 This boat is located in Palm Harbor, Florida and is in great condition. She is also equipped with a Yamaha engine that has 3,900 hours. Reason for selling is bought a newer boat. 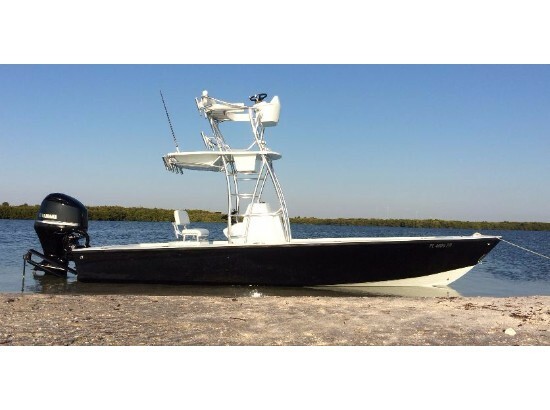 2014 Avenger 24 CC 24' Avenger Custom Bay Boat. 8'-3" beam, 82 gallon fuel tank with 250 yamaha (215 hrs). Boat dratfs 13". Under gunnel & under water lights, raw & fresh water wash down, Ipolit trolloing motar, 8' power pole, 2016 ownes & son trailer, and more. 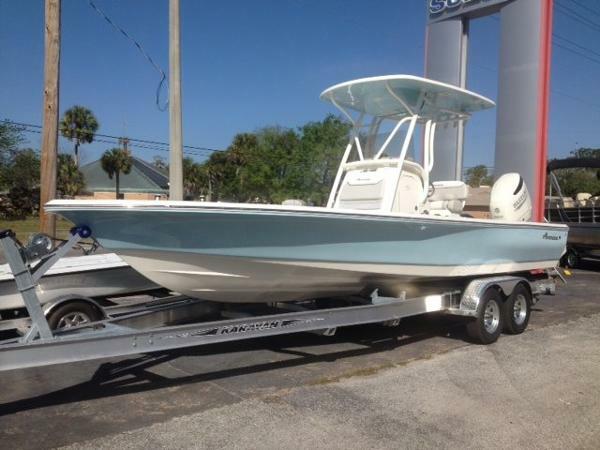 Have a new boat ordered motivated to sell! Please call 407-468-4215 for more info. 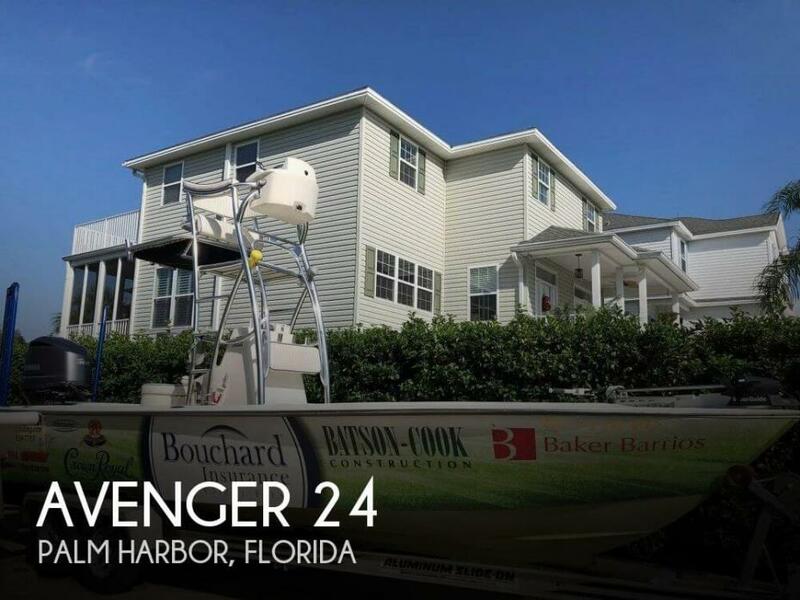 2017 Avenger AV24 The Avenger AV-24 has an overall length of 24 feet 8 inches and a beam of 8 1/2 feet .... built with the serious fisherman in mind. This stable fishing platform is complimented with standard equipment like two live release and one bait well, dual lockable rod storage boxes, and an anchor locker built to accommodate both bow and stern anchors. The Avenger AV-24 is rated for a single engine of up to 300 HP and features an 89 gallon capacity fuel load, making your favorite fishing spot easily and quickly accessible. 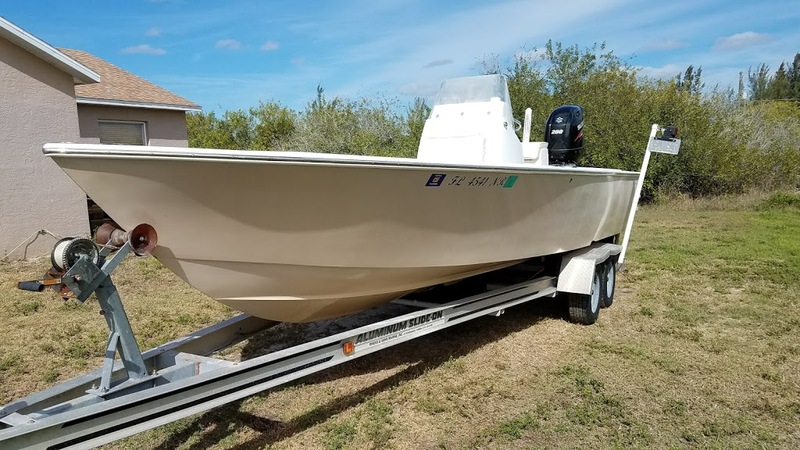 2017 Avenger AV26 Avenger 26 Price is Boat, 300hp 4-Stroke Suzuki, Karavan Tandem Axle Trailer, and much more The Avenger AV-26 has an overall length of 26 feet 2 inches and a beam of 8 1/2 feet .... built with the serious fisherman in mind. This stable fishing platform is complimented with standard equipment like two live release and one bait well, dual lockable rod storage boxes, and an anchor locker built to accommodate both bow and stern anchors. The Avenger AV-26 is rated for a single engine of up to 400 HP and features an 89 gallon capacity fuel load, making your favorite fishing spot easily and quickly accessible. 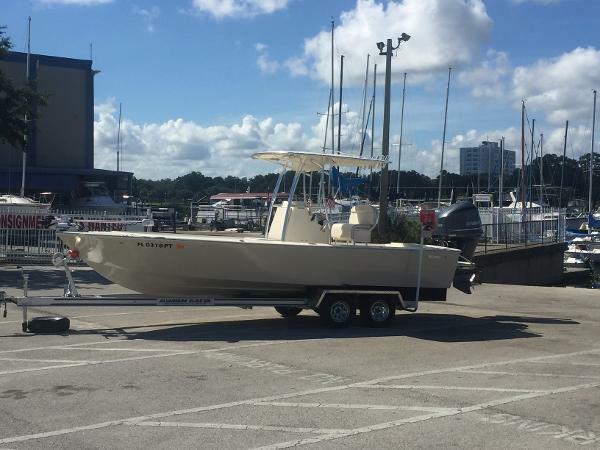 2017 Avenger AV24 NEW 2017 Avenger AV24 center console, powered by Yamaha 300hp 4-stroke with 3 years of factory warranty and option to purchase up to six. Avenger offers a lifetime warranty on the hull with a 7-year transferable. Includes Magic Tilt aluminum tandem axle trailer with dual brakes and torsion suspension. "The Avenger AV-24 has an overall length of 24 feet 8 inches and a beam of 8 1/2 feet .... built with the serious fisherman in mind. This stable fishing platform is complimented with standard equipment like two live release and one bait well, dual lockable rod storage boxes, and an anchor locker built to accommodate both bow and stern anchors. 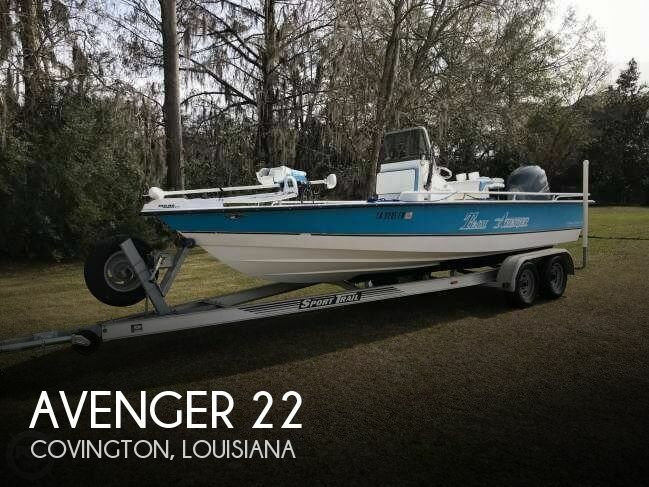 The Avenger AV-24 is rated for a single engine of up to 300 HP and features an 89 gallon capacity fuel load, making your favorite fishing spot easily and quickly accessible." 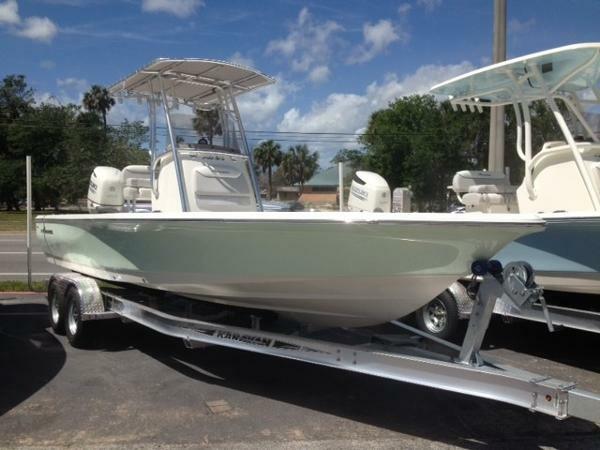 Features include: -Yamaha information station digital gauge -Atlas 4in electric jack plate with pro trim -deluxe powder coated t-top with all the extras -two recirculating livewells (port and starboard) and one baitwell -powder coated leaning post -marine audio stereo with 4 speakers -trim tabs and more! Comes with Magic Tilt aluminum tandem axle trailer with dual brakes and torsion suspension. Price INCLUDES: - dealer prep fees - Magic Tilt aluminum tandem axle trailer with dual brakes and torsion suspension - coastguard kit - 95-day SeaTow membership ***Tax and registration are extra. Financing available! 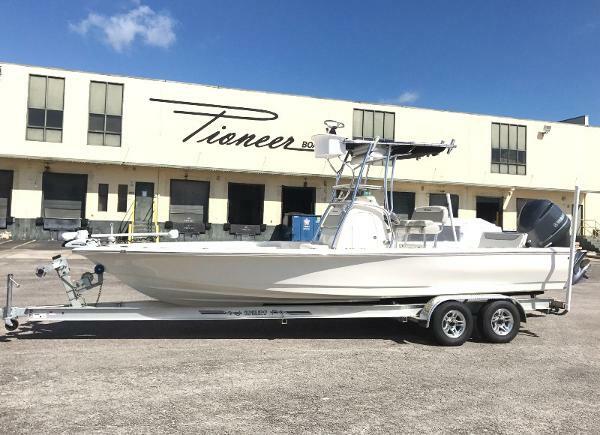 2017 Avenger Boats AV26 SALE PENDING 2017 Avenger Boats AV26 26' Fish Stomper!! Beautiful Hull Color!! We've got some very nice sales consultants here at Paradise Marine standing by to take your call. Let's find out if this boat is a fit for you! 2016 Avenger AV-26, FREE POWER POLE 10' BLADE INCLUDED!!! 2016 Avenger 26 Powered by a Yamaha F300XCA, T-Top, Polk Audio Sound System, Magic Tilt Tandem Axle Aluminum Trailer. The Avenger AV-26 has an overall length of 26 feet 2 inches and a beam of 8 1/2 feet .... built with the serious fisherman in mind. This stable fishing platform is complimented with standard equipment like two live release and one bait well, dual lockable rod storage boxes, and an anchor locker built to accommodate both bow and stern anchors. The Avenger AV-26 is rated for a single engine of up to 400 HP and features an 89 gallon capacity fuel load, making your favorite fishing spot easily and quickly accessible. 2017 Avenger Boats AV 24 2017 Avenger Boats AV 24 24' Fish Stomper!! Beautiful Hull Color!! 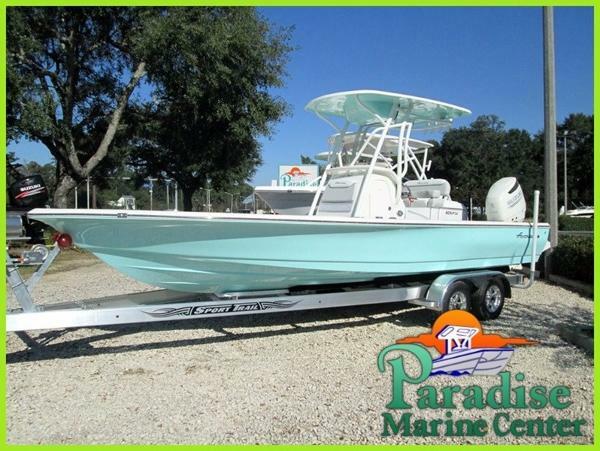 We've got some very nice sales consultants here at Paradise Marine standing by to take your call. Let's find out if this boat is a fit for you! 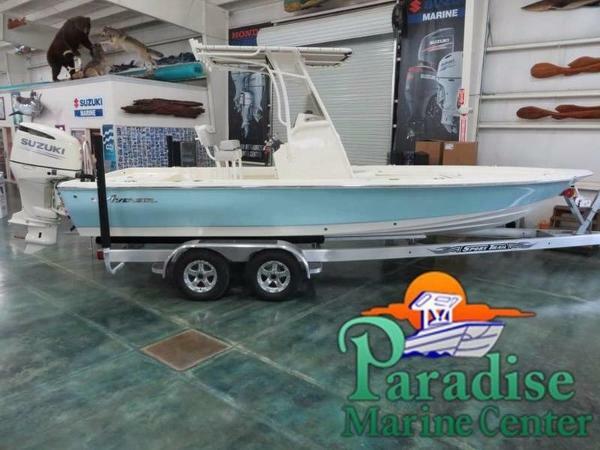 2017 Avenger AV26 2017 Avenger AV26 We've got some very nice sales consultants here at Paradise Marine standing by to take your call. Let's find out if this boat is a fit for you!